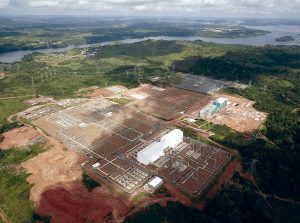 Among the major works performed by Zopone, the Thermal Power Plant Baixada Fluminense was a great challenge and it has reached impressive numbers, becoming a reference in compliance with pre-established deadline. Relying on the work of specialized teams to overcome challenges, Zopone Chile Ingeniería also operates in extreme geographical and climatic conditions enabling the construction of sites throughout Chile. Villa Dumont was planned for you and your family to live the best life. It has a complete infrastructure for upscale homes. Zopone offers engineering solutions for implementation, expansion and maintenance of urban and road, with services ranging from earthwork to pavement. Zopone develops projects and infrastructure works for Data Centers according to the national and international laws like ANSI / TIA-942 and NFPA. Zopone Engenharia is present in Brazil and Latin American with solid financial and human assets, for simultaneous execution of major works in areas of infrastructure for telecommunications, data centers, energy, residential, commercial and industrial buildings, urbanization and pavement. Zopone has 3,500 direct employees and fully computerized management system, which ensures fast communication between the Head Office located in Bauru and regional offices in São Paulo, Rio de Janeiro, Salvador, Brasilia, Belo Horizonte, Curitiba, Porto Alegre, Fortaleza , Recife and Belém. In 2006 Zopone opened its first company abroad, in Santiago, Chile. Read the entire edition December / January of the Zopone Engenharia Inclusion Journal. 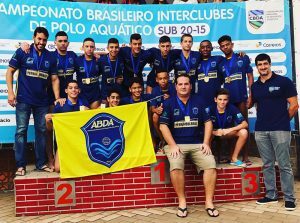 Bauru Aquatic Sports Association (ABDA – Associação Bauruense de Desportes Aquáticos), through the Water Polo Project for a Better Future, Swimming and Athletics, includes about 2,500 children and adolescents since 2010.